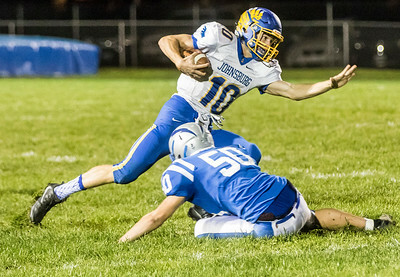 Sarah Nader - snader@shawmedia.com Johnsburg's Riley Buchanan runs past Woodstock's Jake Rowan during the first quarter of Friday's game in Woodstock Oct. 7, 2016. 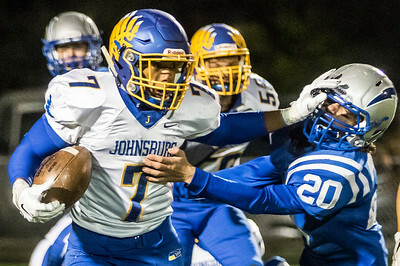 Johnsburg won, 46-7. Sarah Nader - snader@shawmedia.com Woodstock's Jacob Sumner hold onto the ball during the first quarter of Friday's game against Joshnburg in Woodstock Oct. 7, 2016. Johnsburg won, 46-7. 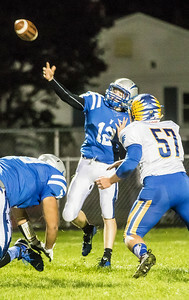 Sarah Nader - snader@shawmedia.com Woodstock's Tanner Heidtke throws a pass during the first quarter of Friday's game against Johnsburg in Woodstock Oct. 7, 2016. Johnsburg won, 46-7. 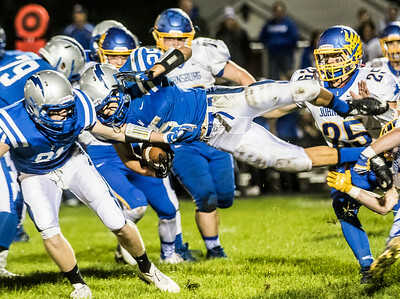 Sarah Nader - snader@shawmedia.com Johnsburg's Alex Peete scores a touchdown during the first quarter of Friday's game against Woodstock in Woodstock Oct. 7, 2016. Johnsburg won, 46-7. Sarah Nader - snader@shawmedia.com Johnsburg's Alex Peete (left) pushes off Woodstock's Matthew Thompson during the first quarter of Friday's game in Woodstock Oct. 7, 2016. Johnsburg won, 46-7. Woodstock's Jacob Sumner hold onto the ball during the first quarter of Friday's game against Joshnburg in Woodstock Oct. 7, 2016. 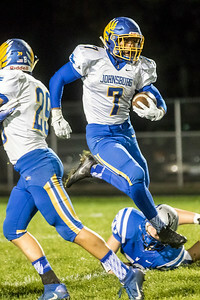 Johnsburg won, 46-7.